Parodies of rap artist Psy’s Gangnam style are fun. But are they legal? 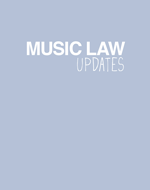 COPYRIGHT Music publishing A group of US music publishers led by Warner Chappell, Bug Music and Peermusic have won a lawsuit against a lyrics website run by Brad Greenspan, one of the co-founders of MySpace. The American’s National Music Publishers Association had previously announced its members were suing LiveUniverse in August 2009, alleging that the site was infringing copyright by making lyrics available without a licence from the relevant publishers. Judge George Wu ruled in favour of the publishers last week without a full hearing, mainly because of Greenpan’s “misconduct”: Greenspan failed to provide information and failed to show up for hearings as requested by the court and in his default judgment Judge Wu said “[the] Defendants have wilfully infringed upon plaintiffs’ copyrights, even after being sanctioned, both by this court and Magistrate Judge Abrams” and “Their blatant disregard for the civil justice system favors a substantial damages award.” LiveUniverse was ordered to pay the claimants $12,500 for each of 528 listed songs which the site published lyrics without permission, a total of $6.6 million, while an injunction bans Greenspan from publishing any other lyrics on his site without first getting permission from the relevant publisher. Peermusic III Ltd…. COPYRIGHT Internet, Technology Controversial streaming music service Grooveshark – currently undergoing some major revisions including better playlisting options, and new sharing and recommendation tools, qill also introduce artist-managed profiles. These will allow artists to set up their own profile on the Grooveshark platform, adding and removing tracks, communicating with fans, and posting blogs. Whilst basically offering the same artist profile functionality as MySpace and Facebook Grooveshark will be that users will be encouraged to make donations to artists they like via the Flattr micro-payment system. Users can put a set some of money into their Flattr account, and then tag which artists they would like to share that cash with. As all four of the major labels are currently suing Grooveshark it is unlikely any artists signed to EMI, Universal, Sony or Warners will be featured. No Doubt settle with Activision in a long-running dispute over the ‘Band Hero’ game. CONTRACT Artistes The Black Eyed Peas have been sued for a million dollars by gaming company Ubisoft, after seemingly failing to provide feedback on a new version of a game featuring the group developed by Ubisoft who say they have spent nearly quarter of a million dollars developing an iPad and iPhone version of ‘The Black Eyed Peas Experience’ game, which is already available for Nintendo Wii and Xbox 360, According to reports, the gaming firm’s lawsuit against BEP Music says: “Since March 2012, and despite Ubisoft’s repeated requests, BEP Music has breached the contract by failing and refusing to either approve or disapprove the iOS game in writing or otherwise”.